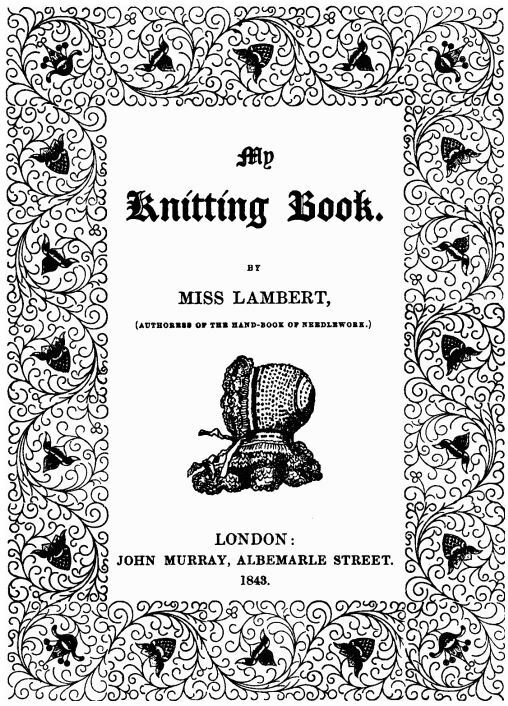 The fourteenth pattern in Miss Lambert’s My Knitting Book (1843, First Series) is for “A Sontag or Cephaline.” This is an interesting pattern for several reasons and triggered a flurry of research on my end. First, sontag was the name for a knitted shawl that wrapped around a woman’s chest and tied at the back. Most of the images and patterns found online are from the mid-Victorian and US Civil War eras. However, Miss Lambert’s earlier pattern is for a cap, not a shawl. I wonder why she chose this name? 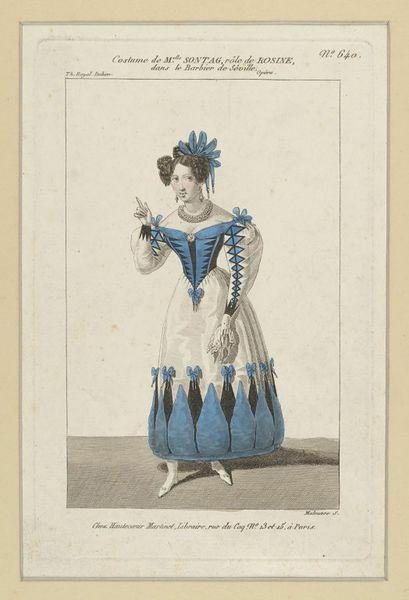 Second, the soprano, Henriette Sontag (later the Countess de Rossi) appears to have been a bit of a rock star of the opera world in the early 1800s. Given that this pattern comes immediately after “An Opera Cap” in Miss Lambert’s book, is this pattern for another opera cap? Perhaps something a Victorian lady might wear to see Ms. Sontag sing or maybe something in the fashion that Ms. Sontag preferred? Several sources indicate that the sontag shawl described above was inspired by a shawl worn by Ms. Sontag in a performance, maybe the same is true for this cap? Third, when I read the title of the pattern, the word Sontag rang a more personal bell. I have a copy of the memoir of my great-great-great aunt who grew up in England where she tells the story about how she went to see Henriette Sontag sing in London at the age of seven (1851). I definitely want to read her account more carefully, focus on her dress for the evening and learn more about Sontag’s concert in London if I can. Fourth, a quick preliminary search for cephaline returned the unexpected result of “parasites of invertebrates” and modifying the search to cephalin lead to a medical term relating to blood clotting properties. Neither of these has anything to do with knitting or the opera (I hope) – so this is worth some additional research. I hope to find lots of interesting things to write about over the next few weeks as I get started knitting my Sontag (or Cephaline) cap. What a fantastic family connection! Can’t wait to see what your Sontag cap looks like!